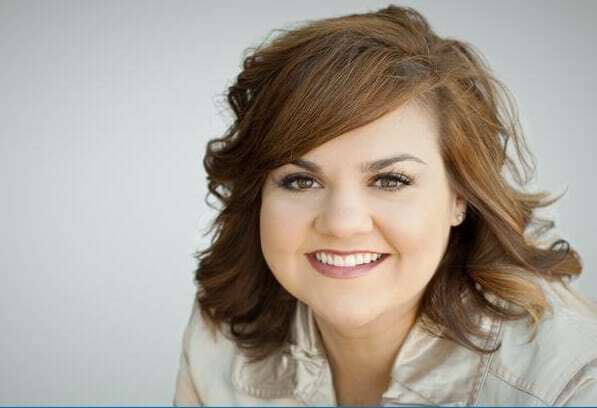 Abby Johnson is the woman everyone is talking about since the movie based on her autobiography became a runaway success at the box office. Those who have watched Unplanned will be inspired by her story. Those who haven’t are in for a life-changing cinematic experience. If you’re Pro-Life you’ll love her and if you’re Pro-Choice you may be as mad as a snake, but you’ll be surprised at how understanding she is of you and where you’re coming from. So give Abby’s story a chance and go and see the movie. Whatever your leaning, the truth of her testimony is now available for all to see and the movie presents Abby’s story in a positive way that doesn’t condemn anyone but rather infuses them with hope. Abby never started out to be an abortion worker. She was groomed at college and got involved because she thought she would be doing something to help women. She became one of the youngest serving directors of a Planned Parenthood clinic and was the abortion giant’s Employee of the Year in 2008. She was a rising star of the Pro-Choice Movement and yet God had another plan for her life. By His grace, God transformed Abby’s life causing her to completely change her mind on the abortion issue. She was involved in some 22, 000 abortions and yet she was able to receive forgiveness and move on from Planned Parenthood without condemnation. It can’t have been easy for her to come to terms with the perception of such colossal guilt and yet Abby was able to do that. And, what is remarkable in her case is that she didn’t seek refuge in obscurity but was able to use her experience to make amends. That is how our amazing God works. He can completely change our lives around as we surrender them to Him. He can cause all things to work together for good (Romans 8:28) no matter how much of a mess we’ve made. If we would just submit our lives, thoughts and aspirations to Him. He can redeem us from all the unplanned excursions we take on our journey through life and restore His perfect plan for our lives. God looked down from Heaven and saw the horrors of the modern abortion industry. He heard the prayers of His people reaching up to Him day and night and He decided to touch Abby’s life in a powerful way. Such a turnaround is so profound that it sounds like it is something right out of the Bible. Wait… it is. It reminds me of what happened to the Apostle Paul. He was an avid enemy of God’s people and yet in one flash of light he went from persecutor to protector. Furthermore God used him as the Apostle to the Gentiles who wrote most of the New Testament. Of course, Abby Johnson is not the first to have a “Damascus road experience” and neither will she be the last. God has a way of changing even the hardest hearts. Her story is similar to the Apostle Paul in that she totally switched sides. And, not only did she leave ‘the enemy camp’ but she became a crusader for what is right. And, God has blessed her beyond measure. Abby is now the mother of eight as you can see in the Instagram post with her husband and children. Furthermore, through her autobiography UnPlanned and the Unplanned Movie she has been able to appeal to people worldwide to consider the way they think about abortion. Don’t Wait! Click Here to Get Tickets To Unplanned now! Since leaving Planned Parenthood Abby has spoken out about the abortion giant in a way that nobody else could. She has the inside information. She has also become part of the solution to the problem. As a former abortion worker she realises how difficult, even impossible it is to get out of an industry where there are spiritual forces at work to keep one from leaving. Abby has set up And Then There Were None (ATTWN) which seeks to end abortion from the inside out by helping abortion workers to leave the industry. This is an extraordinary initiative that appeals to them in a loving way that has won many over. In fact through the reach of the movie, ATTWN has been able to help many abortion workers find alternative employment. See: Almost 100 Abortion Clinic Workers Seek Help To Quit Industry After Seeing Unplanned. God had a plan for Abby’s life just as He has a plan for your life and He wants to see us reach our God-given potential despite our failures. Whatever we have done, He offers us forgiveness and a fresh start. If we have gone away from Him, like the Prodigal Son, He stands waiting for us to return, with open arms. He calls us to make a difference just like Abby has done. So #WhoIsAbby ? In short she is a woman who is making a huge difference. What God has done in her life and through Unplanned is a real game changer as many Christian leaders have observed. Just as William Wilberforce fought so bravely to end the treachery of slavery, Abby is an abolitionist. Will you be one too? Partner with Unplanned to help end abortion in our time. Watch a behind the scenes documentary of the making of Unplanned using the link below where you will hear from the producers, the real life characters and actors. You will also find out the huge role prayer played in Abby’s transformation as well as throughout the making of the film. If you would like to know more about Abby’s time at Planned Parenthood and what she discovered as an eye witness, you can view the video below. You will be shocked as she reveals the quotas PP has to increase abortion rather than curtail it and how it targets minorities.